Step 1: Clear out and measure depth and width of your drawers. 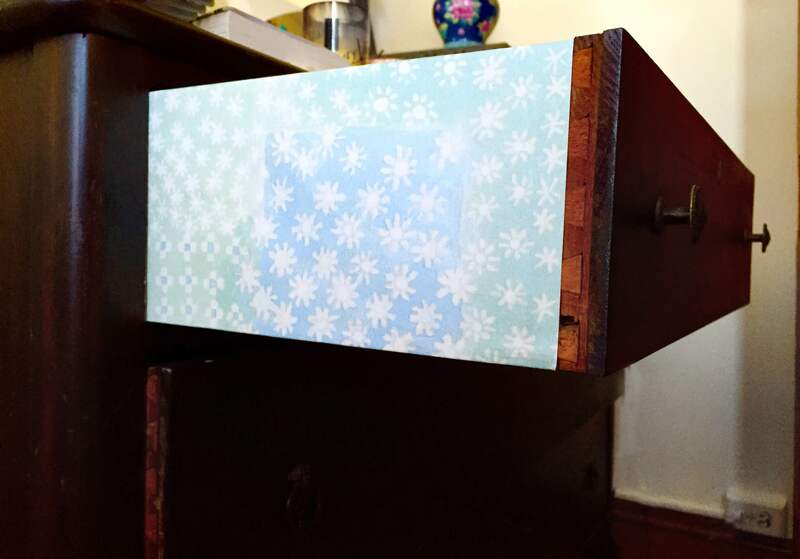 Step 2: Cut out your wallpaper, adding two inches to the height measurement so that you have length to fold over the top and bottom of the drawer. Step 3: Apply double sided tape or other adhesive to your wallpaper. Step 4: Apply the paper to your drawer sides. Step 5: Cut off any excess paper and enjoy your new drawers! Step 1: Cut out your template. Step 2: Trace your template on the back of your wallpaper. If you would like your garland to be double sided, trace triangles in a diamond pattern, leaving off the folded edge (it should look like <> ). Step 3: Fold over the top of the triangles. Step 4: Tape your triangles around the ribbon, securing in place if you are leaving space between the triangles. 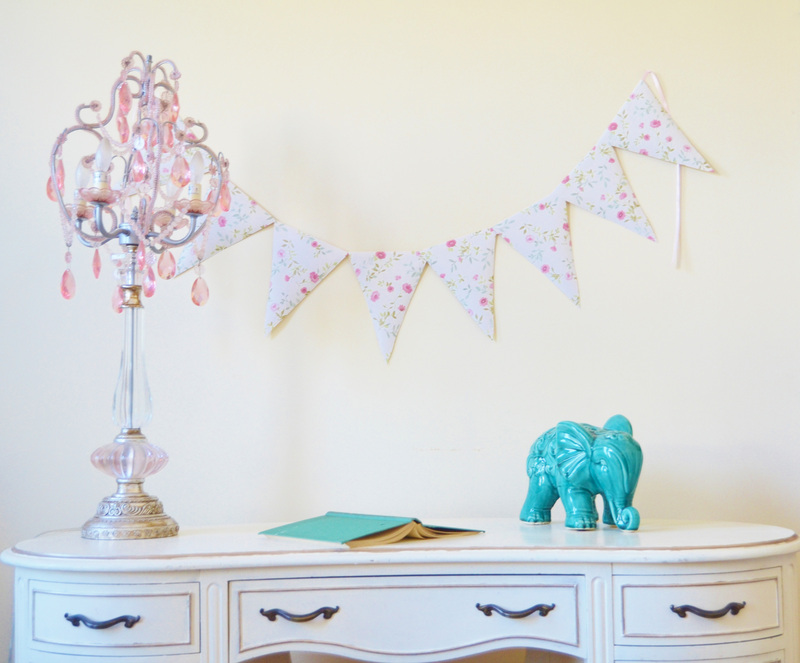 Step 5: Hang your garland! Step 1: Cut out template. Step 2: Trace template on the back of your wallpaper. Use a pencil so you can erase the lines after. Step 3: Cut out your wallpaper. 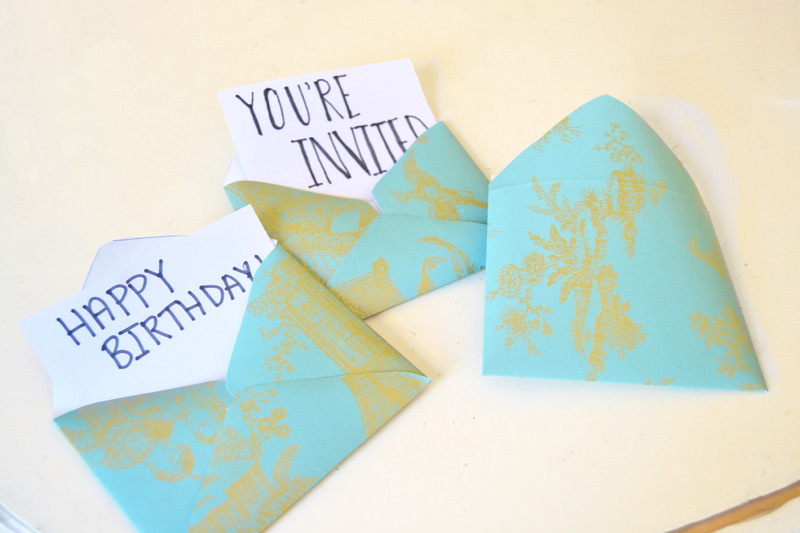 Step 4: Fold all of the straight edges of the envelopes. Step 5: Put a piece of tape sticky side out, on the back of one of the side flaps of the envelope. Fold that flap in. Fold the opposite flap in so that it adheres to the other half of the piece of tape. Step 6: Place a piece of double stick tape on the back of the bottom flap and fold it up. Step 1: Cut out shapes from your wallpaper. Try cutting out elements of the print as well as shapes like feathers. Step 2: Cut lengths of ribbon. You can cut these to any length you like. We chose to use various lengths to go with the natural feel of the design. Step 3: Tie the ribbon to the branch or dowel. Step 4: Tape your wallpaper cut outs the ends of the ribbon. 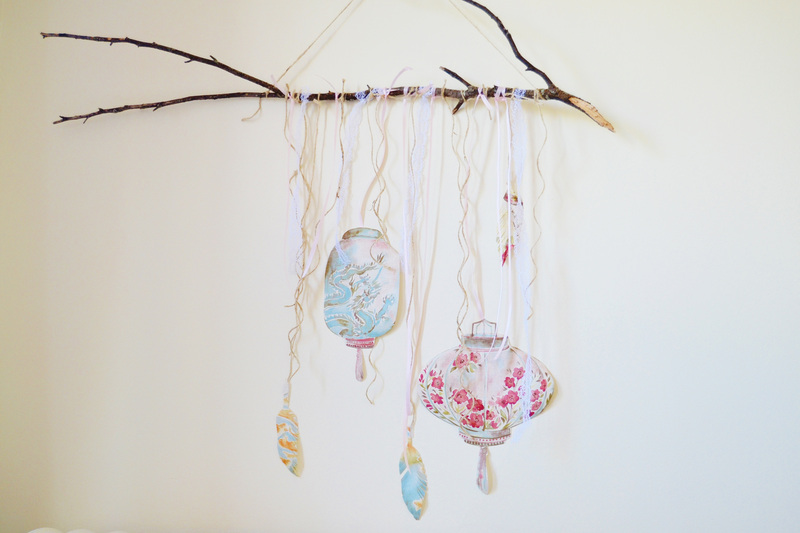 Step 5: Tie a piece of twine to both ends of the branch and hang your masterpiece!